Eurojersey invites the visitors of Interfilière Paris to ‘Be Sensitive’ with the demonstration of its Sensitive Fabrics, focusing on all types of garments and accessories, as well as emphasising the technical performance of its fabrics through the art of contortionism. A contortion artist will highlight the advantages offered by the new Sensitive Sculpt, the fabric dedicated to the figure. 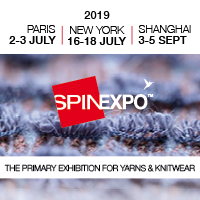 The international trade fair for intimates and beachwear fabrics Interfilière will take place at Paris Expo, Porte de Versailes, from 6-8 July. Eurojersey will be exhibiting their fabrics on 6 and 7 July. The artist will interpret the qualities of this innovative fabric, which offers outstanding stretch and resistance performance, combined with a highly effective ability to harmonise the outlines of the figure and support its musculature. She will do this by wearing three specially made garments and using her body to create shapes and communicate sensations, emotions and ideas. The core concept of the stand will be selvages cuts of Sensitive Fabrics being re-used to line its external walls and 3D writing. This material will also be used for making the original eco-jewels given away to all visitors. Oddments, remnants and pieces of waste fabric are all transformed into exclusive gifts that embody total respect for the values of sustainability that are an ongoing commitment for Eurojersey and Sensitive Fabrics.